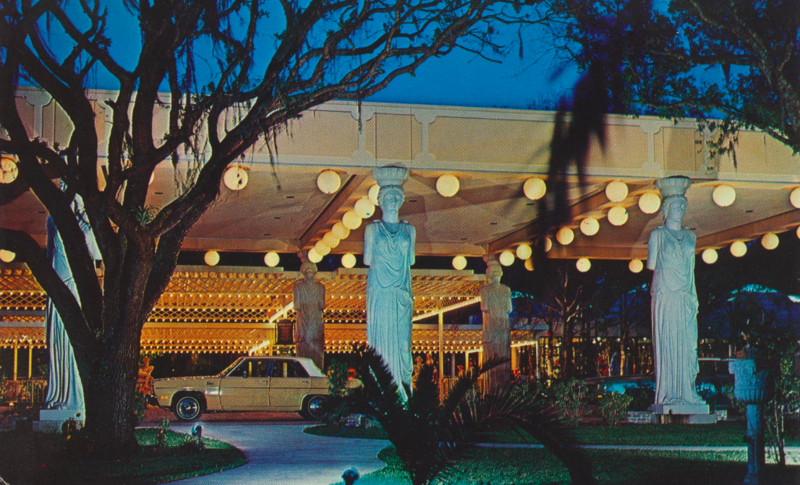 By the 1940s, the tree had become a veritable tourist attraction. 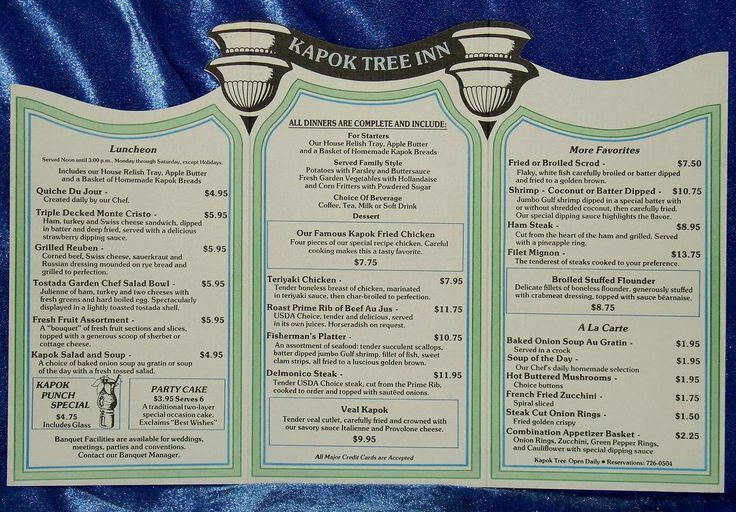 Fun fact: Kapok tree fiber is so light and resilient, it was often used in everything from life jackets, to stuffing teddy bears. 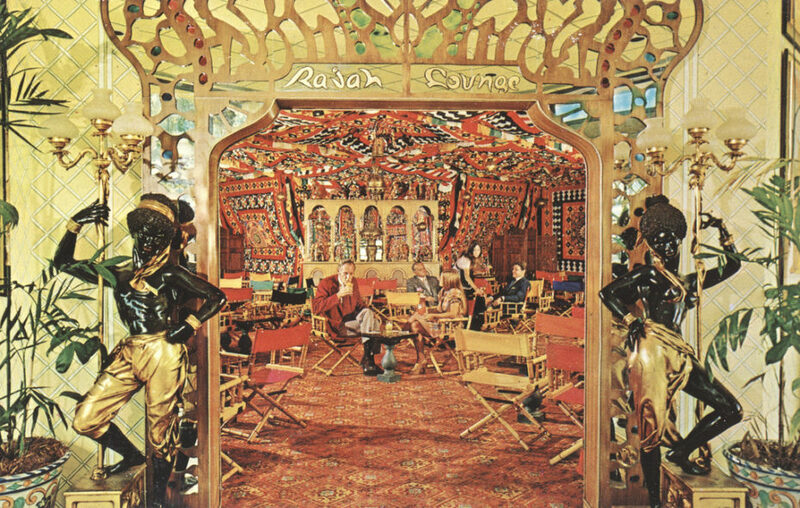 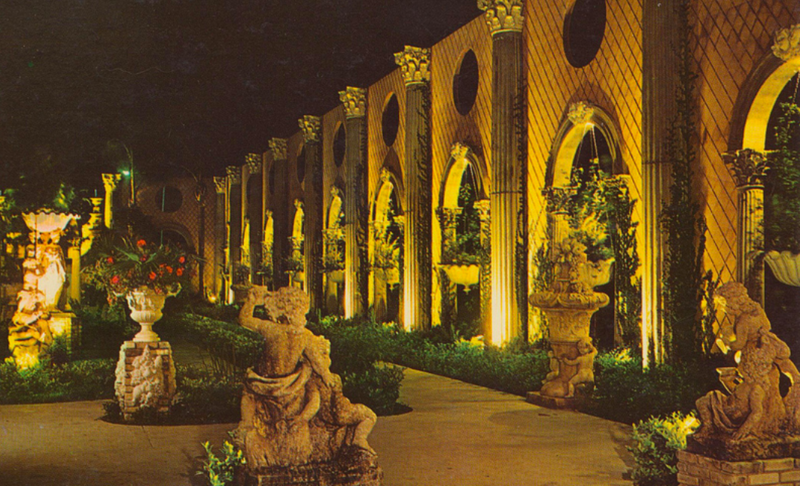 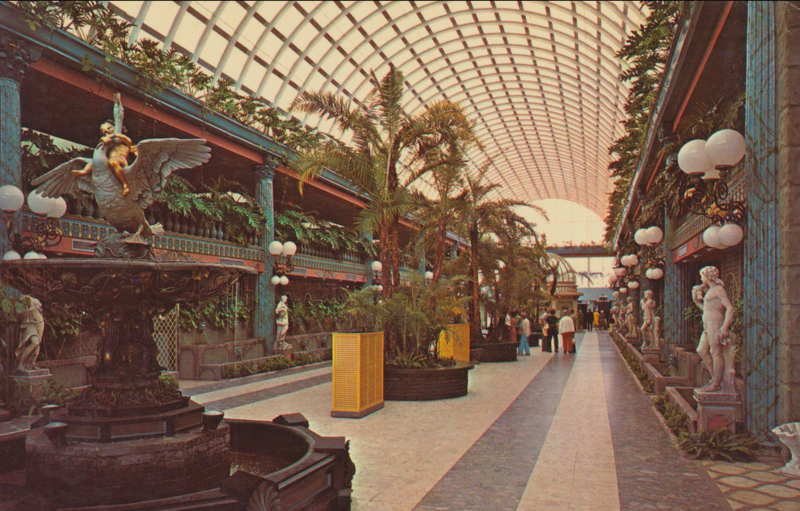 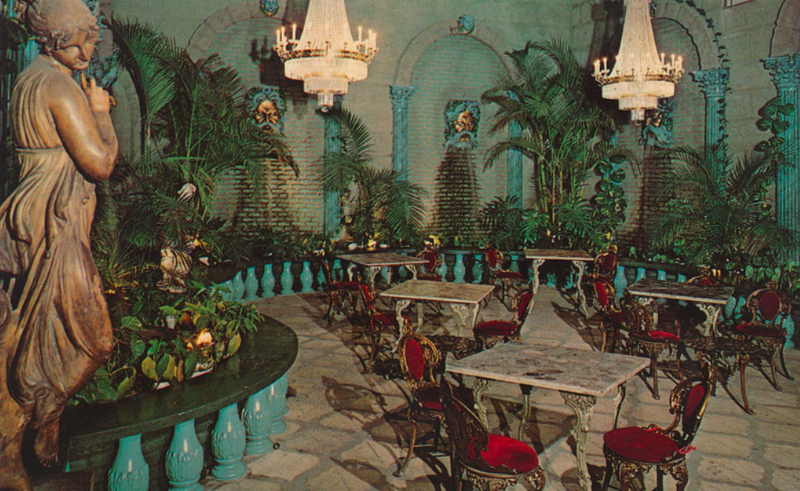 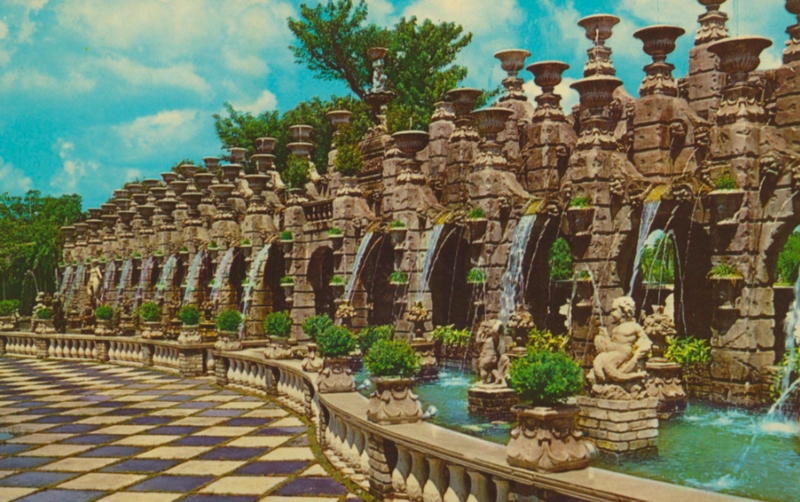 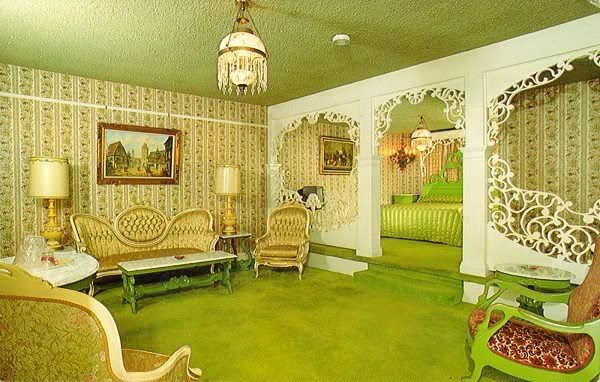 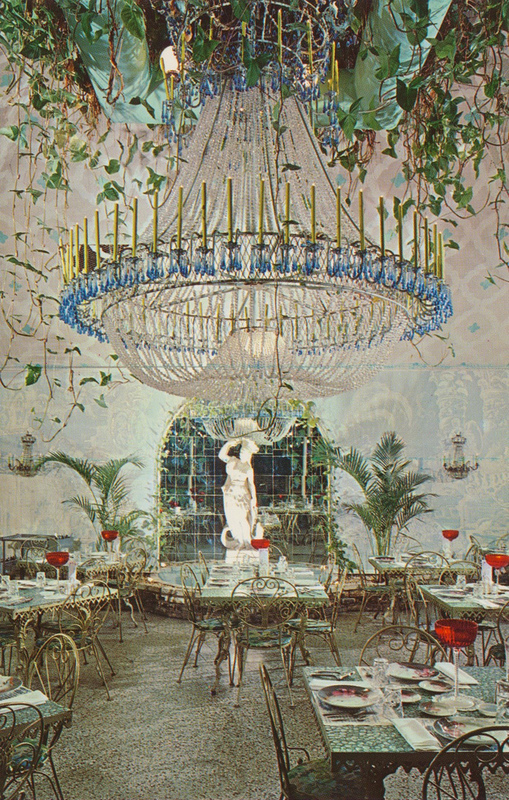 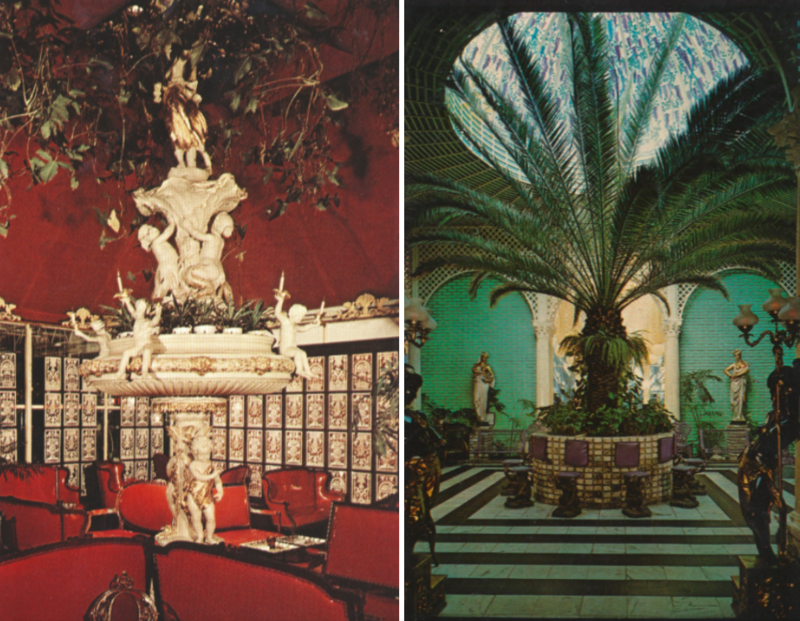 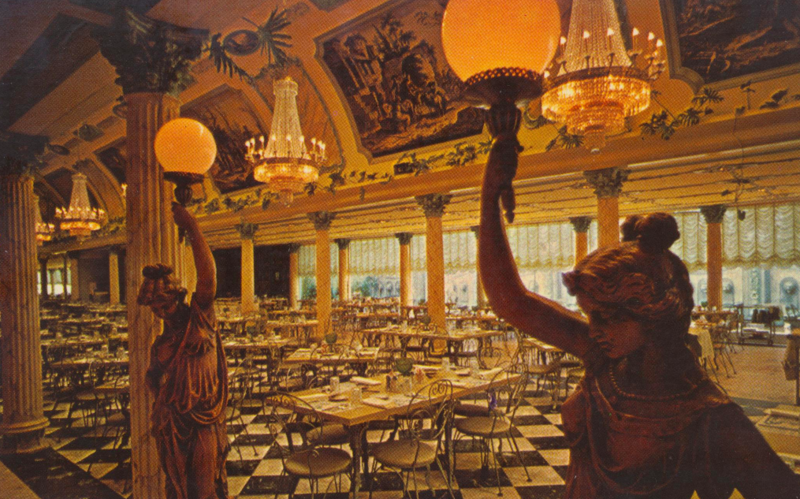 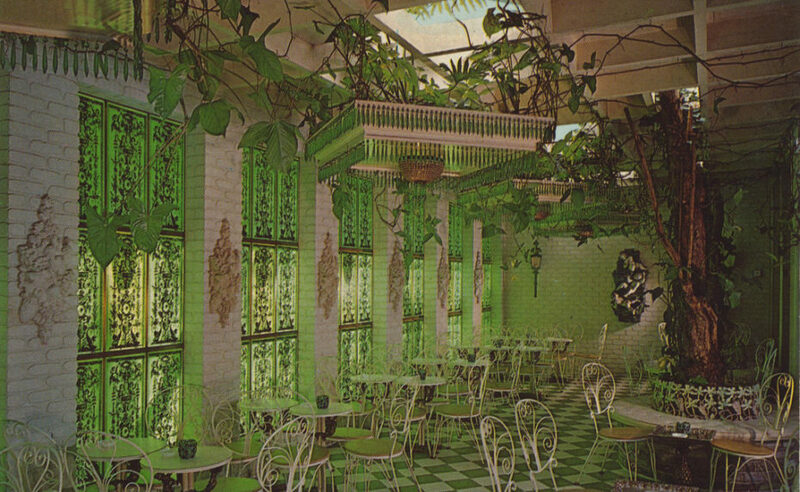 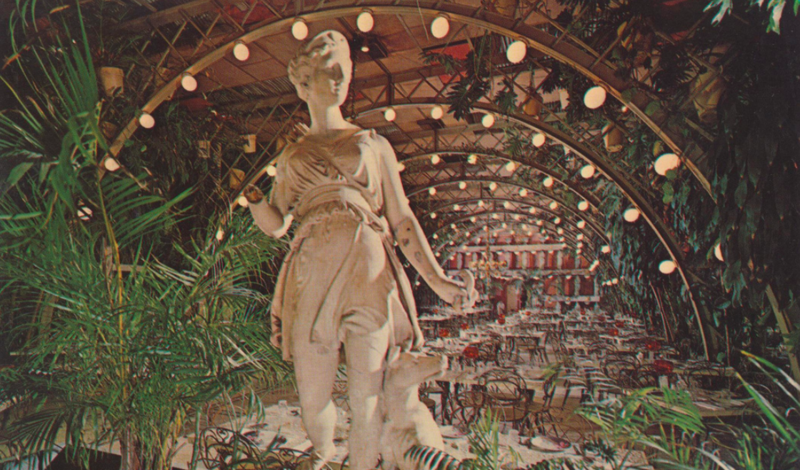 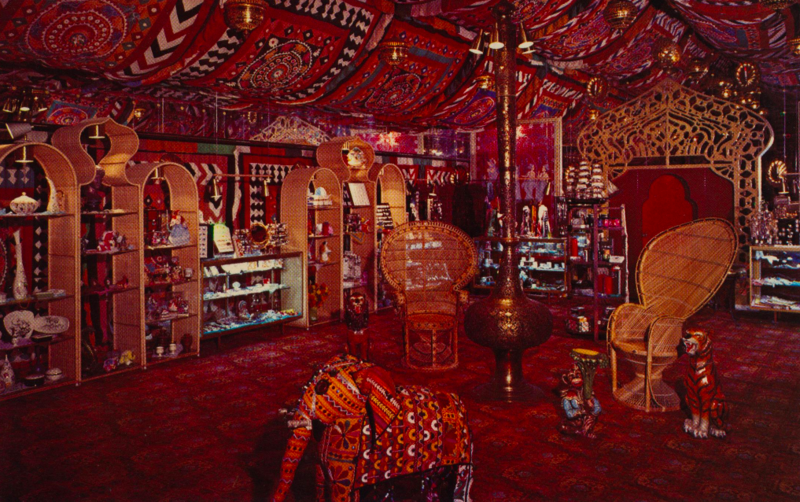 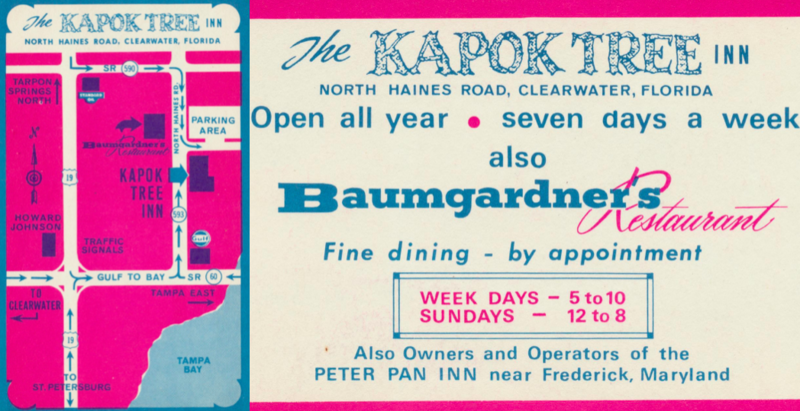 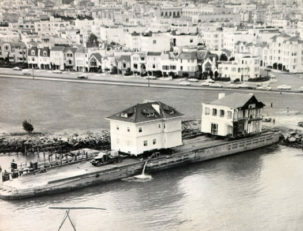 In 1958, local restaurateur Richard Baumgardner launched the Kapok Tree Inn, which wasn’t actually a hotel, but a labyrinth of grand dining halls, gardens, and little shopping boutiques. 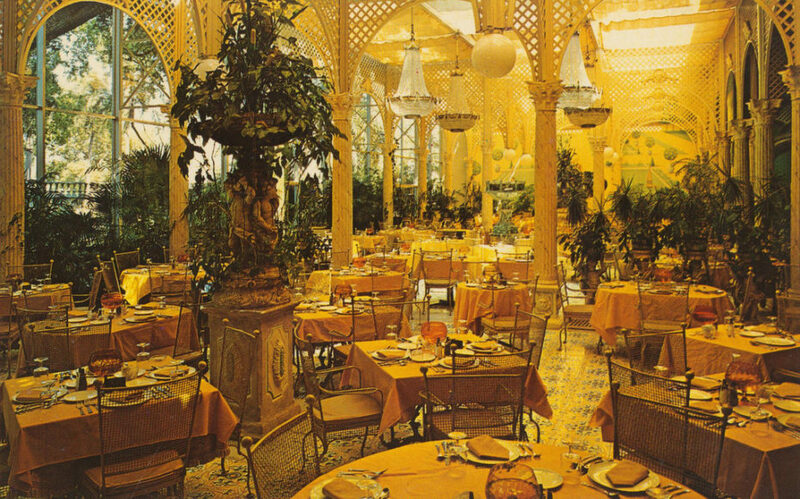 As for the food? 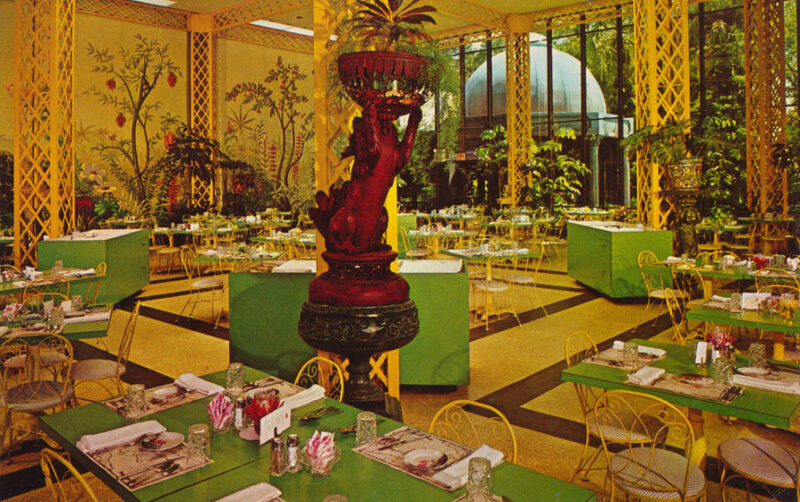 According to their site, customers stuffed themselves on “ham, fried chicken, fried shrimp or T-bone steak with roasted potatoes, hush-puppies, [and] green peas served family style, and a Lazy Susan relish tray with creamy coleslaw and famous apple butter…” By 1988, reported the Chicago Sun Times, the restaurant had sales of $10 million. 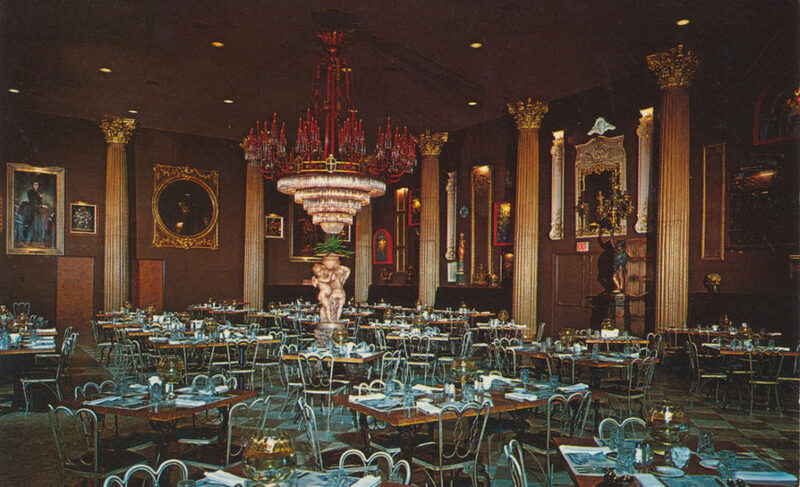 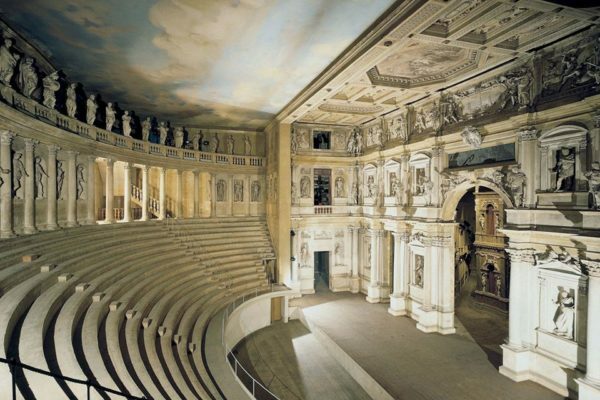 But the glamour couldn’t sustain itself through changing times (and hands), and mysteriously closed its marble doors for good in 1991. 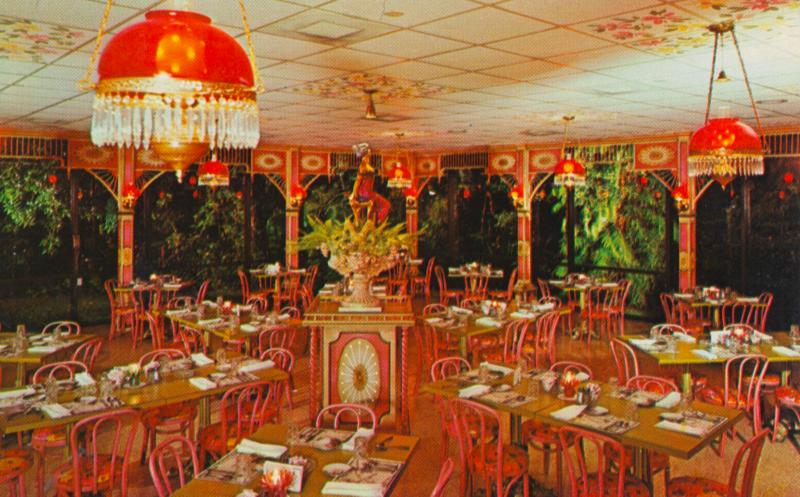 The year before its closure, Kapok Tree Inn had supposedly made $15 million in profit that year, and no one is certain why it shuttered. 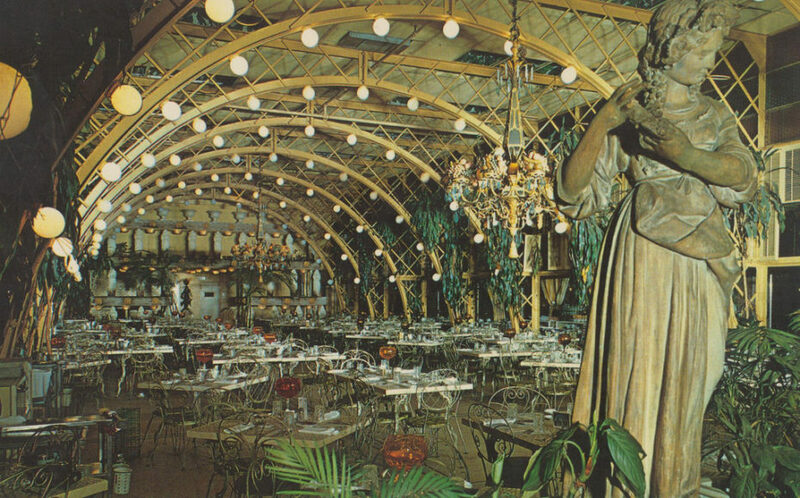 If you’re able to head to Clearwater, Florida, the Kapok is open for viewings Tues-Fri, 9am-5pm, and Saturdays from 9am-3pm. 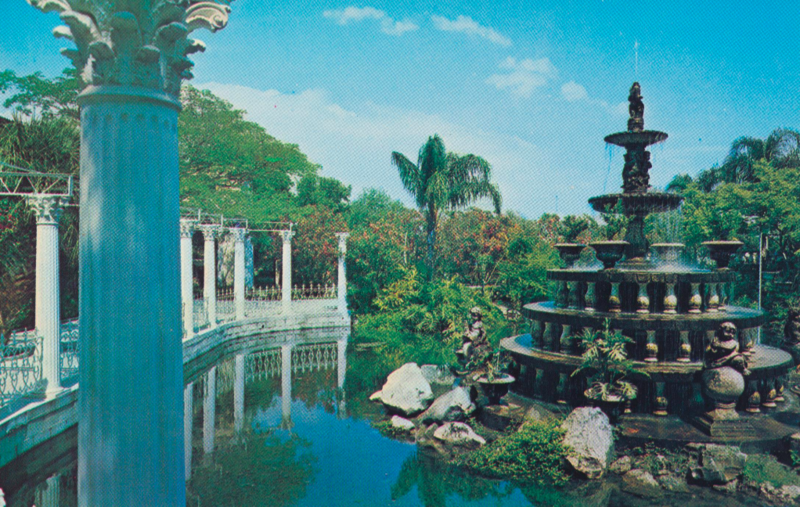 Call 727-725-8733 for more information or visit their website.